Harper Bates & Champion has relocated to Comerica Bank Tower in Downtown Dallas as the firm expands its practice of representing clients in high-stakes business litigation and intellectual property matters. Harper Bates & Champion launched in 2015 as a litigation and intellectual property boutique that represents Fortune 100 companies, small businesses and individuals in litigation and intellectual property counseling matters. The firm has focused its practice on protecting and maximizing the value of its clients’ businesses, brands, and inventions. “As the firm continues to grow, we remain committed to our fundamental business philosophy, which is to help clients tap the full potential of their brands and businesses while providing exceptional and valuable legal service,” partner Scott Harper said. “We are excited about our new office—not only because it will allow us to execute on our commitment to clients but also because of what it signifies to us personally. We are proud to practice in Dallas and we look forward to serving clients in this community for years to come,” added partner Shannon Bates. 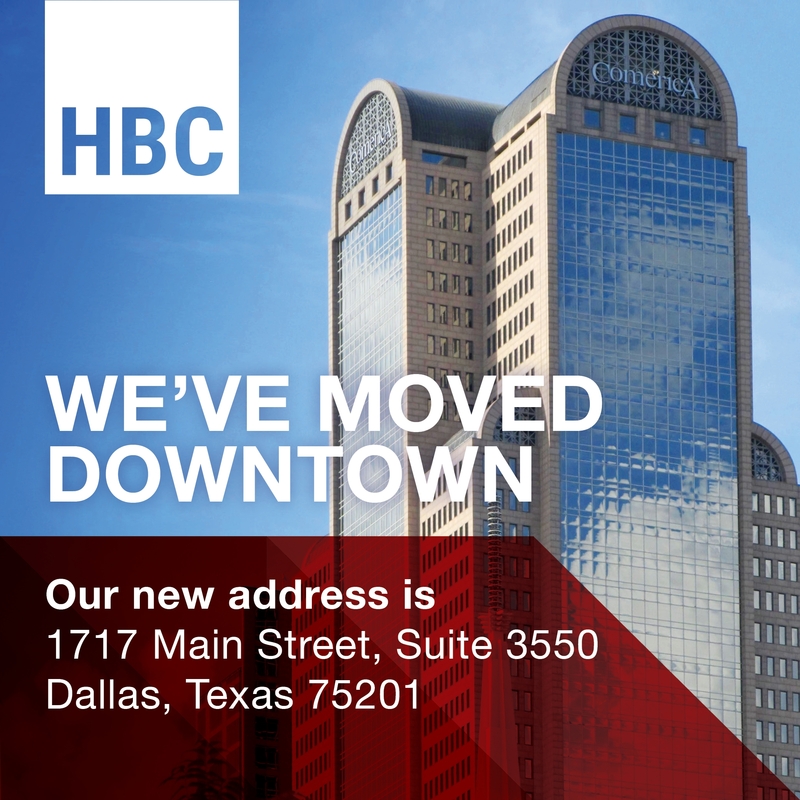 Located in the heart of Downtown Dallas, the firm’s new office is less than a mile from the federal and state courthouses. The firm's proximity to Dallas courts will benefit the growing litigation team, which has recently added new attorneys to its bench, including Ben Jones and Dale Fresch. “Our litigation group comprises talented and tech-savvy litigators who have exceptional research, writing, and advocacy skills,” said partner Austin Champion. “We work hard to provide efficient, thoughtful, and creative legal solutions, and we are excited to do this work among other talented professionals in Downtown Dallas."